It’s finally happened. The K League’s unquestionable best player, Lee Jae-sung, has at last moved to Europe. But his destination is a mysterious one; especially after years of speculation that Lee was destined for a grander stage. 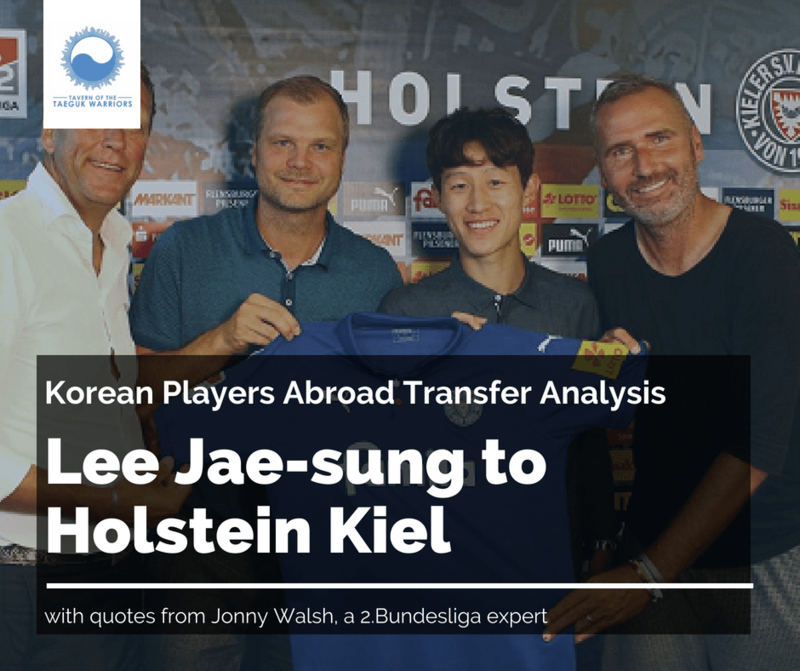 Let’s reflect on what Lee Jae-sung accomplished in Korea, speak to a Holstein Kiel expert to understand where exactly he’s moved to, and try to make sense of his move to the German second division. Jeonbuk made a major sacrifice in letting Lee go on the cheap; youth defender Kwon Kyung-won, for example, left to Guangzhou Evergrande from Al-Ain in 2016 on a transfer fee of nearly 10 million euro, Kwon Chang-hoon went to Dijon from Suwon Samsung in 2017 on a transfer fee of nearly 3 million euro, etc. What are Holstein Kiel getting? They’re getting at the present moment a very fatigued player. Per Steve Han of Goal.com Korea, Lee Jae-sung played 3335 minutes for Jeonbuk between July 2017 and June 2018, the second most in that time frame on the Korean national team (only behind Son Heung-min). He also played all 90 minutes of all of Korea’s three World Cup matches, including playing a part in all three friendlies prior to that. Most of Lee’s observers know he wasn’t his usual self at the World Cup, appearing slightly more sluggish and sloppy in his play than usual. It was his inability to go beyond decent (because he remained one of the highlights of a poor national team) in this dress rehearsal that dispelled some European clubs from making him an offer. Jeonbuk may limit Lee Jae-sung’s playing time for the remainder of the summer as the midfielder is suffering from an apparent “burnout,” according to Jeonbuk manager Choi Kang-hee. Over the last 12 months, Son Heung-min is the only Korean player who played more minutes than Lee. Other minor issues remain in his game that don’t make him a perfect player: his lack of imposing physicality or extremely compelling long-distance shooting ability means that he can at times become a little invisible when playing centrally. He’s not an attacking midfielder in the traditional sense. His offensive output (in terms of pure statistics) could also be better. Lee only scored 3 goals in 32 appearances in 2016 and 8 in 2017. Now there are various factors that mitigate that number, but attacking players ultimately get evaluated on goals and assists. For followers of the K League, none of this is new, but those who follow the Korean domestic scene less may need more of an introduction. Lee Jae-sung’s skill-set and talent is something no Korean player can boast – period. His willingness to play eye-catching one-two passes is by far his most noted quality. 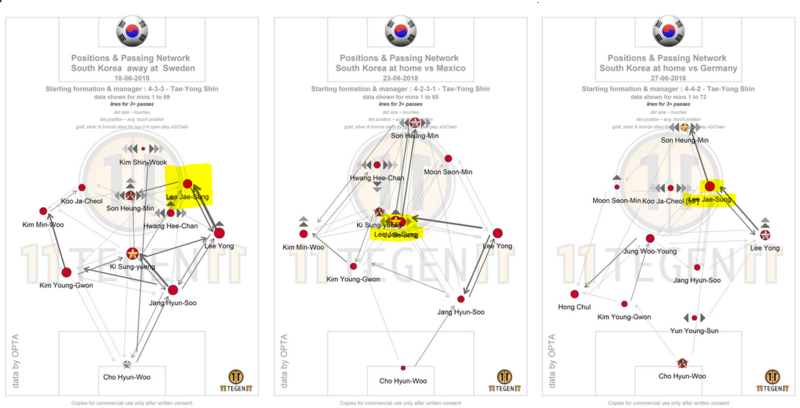 In that respect, it takes an intelligent teammate – and an effective system – to get Lee to play at his best, allowing him to be both a cog in the team’s fluidity (popping up everywhere and connecting play) and a threat offensively. His ability to take a team from casual passing to a high-energy sequence make him a player that must be closely watched by opposition defenders at all times. Take a look at this little chart of his efforts against Germany at the 2018 World Cup, where Lee exploited Hector, attempting 7 take-ons and succeeding in a game-best 4 take-ons. His versatility has also made him a worthwhile asset. In his time at Jeonbuk, Lee has popped up on every side of the midfield. When deployed centrally, he isn’t an attacking midfielder in the traditional “#10” sense, but instead is a quick passing option who can play others into space. Lee is often deployed on the wing as well. Offensively, he combined all of his skills above and doubles their danger through half-spaces and in the channels. In a 2015 entry for his South Korea Soccer blog, former Tavern contributor Jae Chee compared Lee to a “poor man’s Isco”, and in certain respects that still holds true. Defensively, he shores up one side of the defense thanks to his quickness and dynamism. This, combined with effortless stamina, make him an effective workhorse. He’s unafraid to get stuck in, recover the ball to drive it forwards, or release pressure with a smart passing sequence. 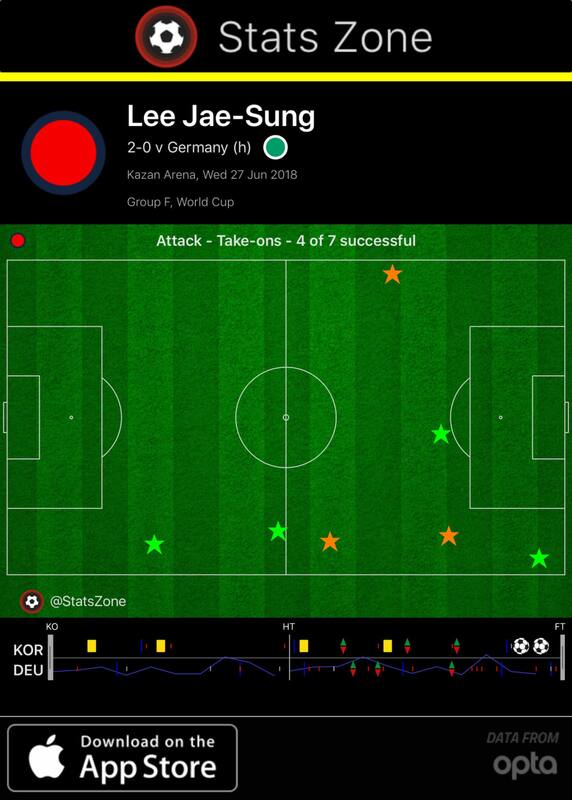 In the World Cup, Shin Tae-yong played Lee in three different midfield positions (though the positioning was similar in the Sweden and Germany matches, the responsibilities were different), and his defensive contributions were more than acceptable, averaging 6 interceptions/tackles per game and around 7 ball recoveries on average against Mexico and Germany. We spoke to Jonny Walsh, a 2.Bundesliga expert, to get a better read on Holstein Kiel. Who are Holstein Kiel? In all seriousness, could you give us a quick rundown on their recent history & anything we should know about the club (rivalries, ownership, financial situation, anything to teach us more about Lee’s new team!)? Kiel got into 2. Bundesliga for the first time in over a generation last season, and then blitzed the table before finally finishing third and losing the play-off. They themselves had been on the wrong end of a play-off defeat to 1860 München just a few years prior, but under Markus Anfang they have hit new heights. That was until he left to head to 1. FC Köln, as he bids to lead them back to Bundesliga. Kiel have been made to reconstruct part of their stadium due to DFL rules, which means their usual away end will be out of action until that is rebuilt. The Storks, as they are known, have rivalries with FC St. Pauli and Hamburger SV. Given that HSV have been relegated to 2. Bundesliga for the first time ever, it should make for an interesting couple of games in the north. Lee will be tasked with replacing (arguably) the best player in 2. Bundesliga in Dominick Drexler, who joined Anfang and Rafael Czichos in joining Köln. If he can do this, it’s fair to say he’s worked wonders given the entire circumstances with the number of players that have left. Who are the team’s star players? Sadly, most have left. Drexler and Czichos have both headed south to Köln while Marvin Ducksch has signed for Fortuna Düsseldorf. This only further serves to shift the focus onto Lee and how quickly he can get to work. The only positive is that those around him, namely David Kinsombi, have stuck around. It is the striking department and replacing the goals and assists, as well as the partnership, that Drexler and Ducksch managed that will be the toughest ask. Alongside Kinsombi, they have Dominik Schmidt who was just as solid as Czichos last term. That leaves a slot open where Hauke Wahl, after a few seasons away, looks likely to partner him on his return to the Storks. Kingsley Schindler is the most exciting attacker to have remained at the club, having starred and been courted by HSV during the summer break. Kiel have done superbly well to hold onto him and will be key in any attempt to repeat previous successes. Can they team replicate their 3rd place finish from last year, or was that just an anomaly? What should we expect from them this season? It would be incredible, to the point of unbelievable, if Kiel managed to replicate their third-place finish. Their efforts last year shocked everyone once more but, dealing with the squad turnover and losing three key members of their spine, is a lot to come back on. An awful lot of pundits feel like they are destined for the drop, yet there is reason to be hopeful. The manager is experienced in dealing with young players and he should be a good fit for their squad. They should be capable of finishing above a handful of teams in the league if they do click, and their defence is largely unchanged if not stronger which will bode well. Holstein Kiel have a new manager – Tim Walter. How do you think he’ll integrate Lee Jae-sung into the side (how will Holstein play, and where does Lee fit in all of it)? Walter’s proven himself to be excellent at working with young players and, to be honest, Kiel signing Lee is an incredible piece of business. He will be key to how they perform this season, and should he fill Dominick Drexler’s shoes, then he has the opportunity to put himself in the same shop window as Drexler. They should, hopefully, stick to a similar attacking philosophy that Anfang opted for and play to their attacking strengths. Whether or not Lee and Benjamin Girth can forge a partnership with less than a week until the opening matchday remains to be seen. Nevertheless, it’s a very exciting move for both club and player; not least given the successful springboard which 2. Bundesliga has proven itself to be. Not at all… but also yes. Lee Jae-sung’s exploits are well documented; he was an integral piece of Jeonbuk’s three dominant domestic league wins in the past four years, as well as their competitiveness in the Asian Champions League (and the 2016 ACL victory). In the national team, though he’s never become the side’s focal point per se, he’s proven to be an indispensable player who has offered something drastically different and refreshing from the stale possession football Korea has played for years. He’s not the best Asian midfielder in Asia for no reason. In that respect, given the years of rumours and speculation and wondering when he’d finally make a move to Europe, it’s abjectly disappointing to see that he’s ended up at a 2.Bundesliga side without any guarantee or even probability of achieving promotion. In hindsight, perhaps he should have pushed for a move sooner, before the World Cup, where he was fatigued and a shadow of his real self; all observers of the Korean league are well aware that Lee has the ability to compete and excel at a higher level. If Koo Ja-cheol and Ji Dong-won can play for Augsburg, Lee Jae-sung certainly can play and succeed at that level as well. So on that basis, this is a horrible move. Jeonbuk get shortchanged, Lee joins a weak club and the K League’s greatest asset of its time goes on the cheap to a club nobody had ever heard of before. However, things must be looked at in context. It is very possible Lee Jae-sung even took a pay cut to join Holstein Kiel, and he has repeatedly turned down far more lucrative offers in China or the Middle East that could have doubled his salary and paid Jeonbuk enough cash to buy two players of his quality. The 25 year-old’s ideal window for moving to Europe and testing himself was closing. 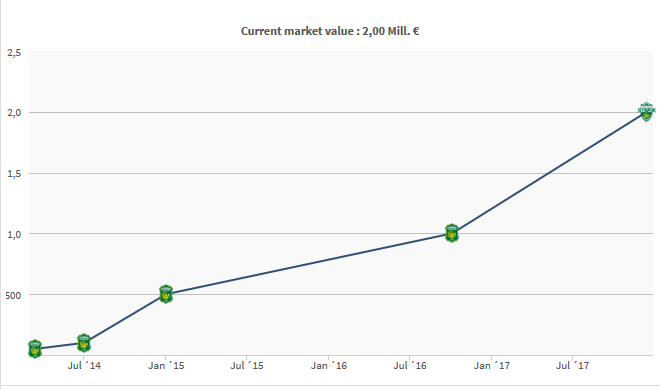 Holstein Kiel, as we now learn, sold a lot of their assets last season to bigger German clubs — including their very own manager. With no disrespect to the club, the best thing now for Lee Jae-sung is to play every game to prove a point: the European scouts who dismissed him after an average World Cup were wrong. If Lee can impose himself on the German second tier in this next season, as we know he is capable of when at his very best, he will hope to attract the attention he deserves in top tiers across Europe. Verdict: Purely on the basis of getting access to the European market, it’s an okay move. Only time will tell if this was the right step in the career of Lee Jae-sung (or song!). Did Jeonbuk make this financial sacrifice just in favor for Lee or do they have some major extra clauses? Also, what is your oppinion on why so most korean players abroad tend to regress over the years? They mostly tend to lose their fire and explosiveness. E.g Ki, Koo, Ji, npt only after aging, but mostly after their first good season. It sounds like the fee is around 1 million euros and can rise to 1.5 million euros with clauses. Perhaps there’s a next sale clause attached; we don’t know, to be honest. Why do they regress after one year? Well… Son didn’t regress, and Ki took a couple years before excelling in England (and that’s not counting his Celtic stint)… I suppose Koo and Ji did best earlier on but I’m not really seeing a correlation that can’t just be associated to players settling in and being happy to play for their clubs but not really trying to do more. They reached their level. For Koo, Augsburg/Mainz has always been his level and he’s getting older so I don’t rly think it’s a fire and explosiveness thing. Honestly surprised and a bit disappointed after some of the clubs he had been linked with in the past. I suppose this past WC campaign did not help his stock, which is unfortunate given how fatigued he was. However, my sense from observing him is that his ceiling is not that high. Do others feel differently? He’s about to turn 26 and start his European career in 2. Bundesliga. I really hope to be proven wrong. My best wishes to him on this new start and congratulations on the transfer. Yeah, we’ll just have to see how much his playing style fits into his new club and if he improves. I mean, he could just sort of linger in 2.Bundesliga or he could earn a move to an even bigger league. I wish him the best but yeah, definitely hard to judge his ceiling as a player at the moment with his fatigue. You know, I know people get obsessed with moves to Europe, but on a macro level, this is another instance of resources and talents moving to benefit Europe while disadvantaging Asia. I’m not sure what the solution is, but it is always there, and no one really likes to talk about it. Sigh. Well there are instances where domestic leagues do very well in player retention. Russia, for example, had a squad almost entirely made-up of Russian PL players at the World Cup. Croatia, on the other hand, was spread out everywhere. The reason? There’s more money in Russia. Wages are great, the league is competitive, and there isn’t really a culture of “go play abroad and succeed” b/c unless you’re a Golovin with a bright future ahead of you, why move? Same logic in the UAE. Omar Abdulrahman of Al-Ain has been a player we’ve talked about before, a super dynamic and creative midfield dynamo and playmaker for them. Could have easily gone to Europe many times to prove himself, and has always preferred to stay in Asia. Ultimately, history will reflect less brightly about Omar Abdulrahman as a result of staying in Asia. So it’s a culture thing, a wages thing & a pride thing. Culture b/c the KFA encourages exporting younger players (like LSW) to get the skills they can only get in Europe. Wages b/c Europe pays better (tho LJS may not be making more at Kiel, he has access to a wealthier market if he moves up). Pride b/c you’re expected to test yourself in Europe and “be the best” or you’re sort of laughed at for not trying. Look how quickly Cho Hyun-woo made his WC run about wanting to go to Europe. He’s always talking about how he loves his club (Daegu) but it’s also that Europe is the promised land for Koreans. Ideal world – K League follows CSL model somehow. Pays players better, games are better attended, and bring older foreign exports a la MLS and CSL. Obviously won’t happen, and to be honest tho I see your point, I think a more fit KCH and LJS who play more games in Europe and develop against European defenders can only be a good thing for the KNT come 2022. In the long run, if we do succeed, then we’ve actually used the european market to promote Asian football’s strength. Yea. I agree with you on the reasons. However, I think many Korean fans don’t usually see that. They just think Europe=good, domestic=bad. Like, I don’t think that they get that Jeonbuk is getting fleeced and that there are ramifications to that. I certainly don’t begrudge players going to Europe to test themselves. It’s the (consistently) getting fleeced part that bothers me. My biggest problem, when it cones down to it, is that the professional soccer world is almost exactly a reflection of neoliberalism and it’s values, which is quite sickening. China has the potential to shake things up with their money, but who TF trusts China? Lol. Sigh. It’s a difficulty quandary, and yes, I wish what you propose as ideal could happen.